There’s nothing like a brunch with the girls, especially when it’s in celebration of your birthday. That’s exactly what happened when three ESSENCE staffers, who all have January birthdays — Digital Director, Yolanda Sangweni; Senior Director of Event Marketing, Candace Montgomery; and Fashion and Beauty Director Julee Wilson — with the help of Reserv Concierge, gathered a small group of their favorite gals at Fumo Restaurant in Harlem, New York City, to toast to another year of life. The happy occassion was further heightened by festive looks (these ladies definitely know how to pull together an outfit), a stunning (and tasty) cake by Make My Cake and Rachel Stewart Jewelry “Sheba” earrings for everyone. 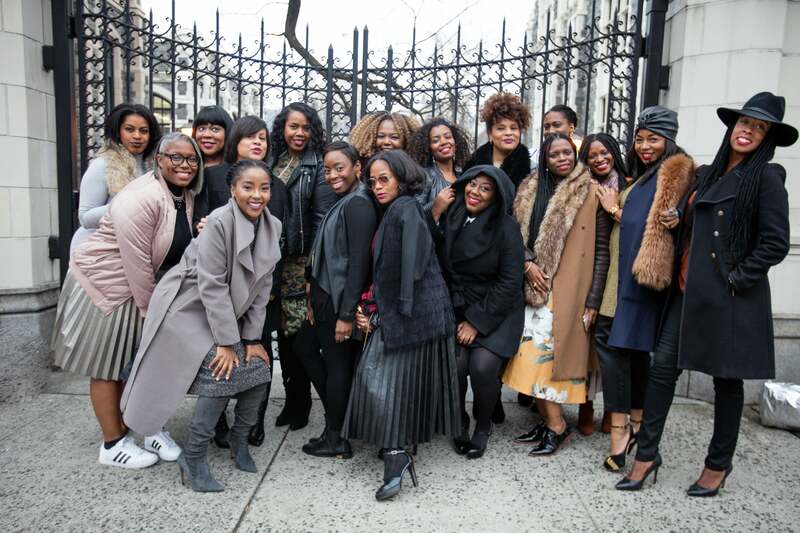 Click through to see this group of successful and creative women getting together to celebrate birthdays, sisterhood and style. Kela Walker slays on the streets of Harlem on her way to have brunch with her girls. The entire squad poses while out for a day of brunching and celebrating in Harlem, NYC. Makho Mandu slays on the streets of Harlem on her way to have brunch with her girls. This fashionista slays on the streets of Harlem on her way to have brunch with her girls. 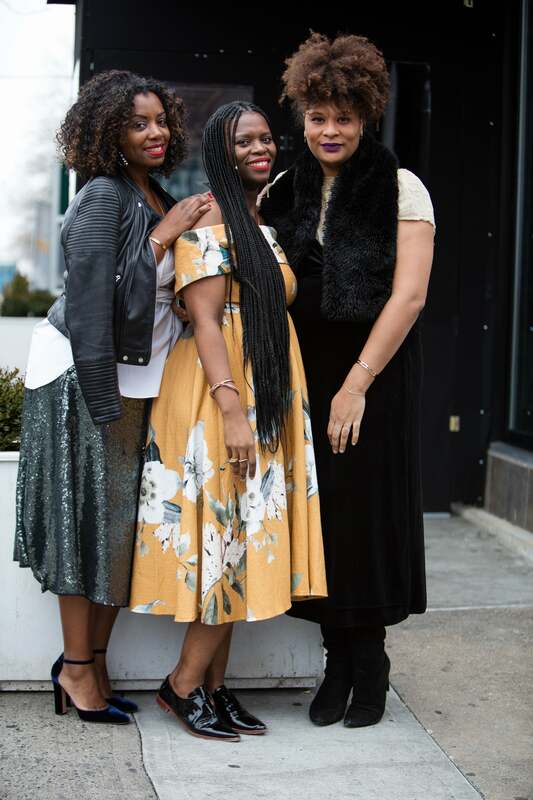 Candace Montgomery, Yolanda Sangweni and Julee Wilson slay on the streets of Harlem on her way to have brunch with their girls. Geneva Thomas slays on the streets of Harlem on her way to have brunch with her girls. Tracy Chambers slays on the streets of Harlem on her way to have brunch with her girls. Erika Perry slays on the streets of Harlem on her way to have brunch with her girls. Charli Penn slays on the streets of Harlem on her way to have brunch with her girls. Charae Robinson slays on the streets of Harlem on her way to have brunch with her girls. Danielle Brown slays on the streets of Harlem on her way to have brunch with her girls. Ty Alexander slays on the streets of Harlem on her way to have brunch with her girls. Renae Bluitt slays on the streets of Harlem on her way to have brunch with her girls. Desiree Verdejo slays on the streets of Harlem on her way to have brunch with her girls.